It was a Wednesday and we had nothing to do. We were planning to climb on the coming weekend but the stress of the summer sun made us think otherwise. 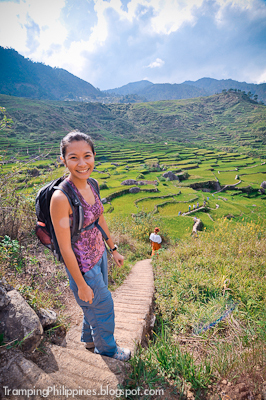 All of a sudden, Agnes texted me if I wanted to go to Sagada. My quick reaction was, "Great, but only for a weekend?" We agreed on the destination and decided to search for great places to visit. 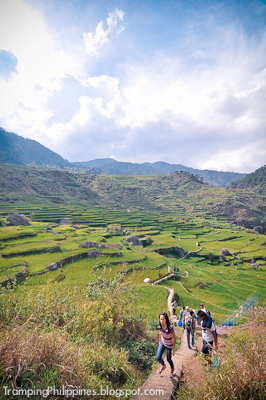 Many places caught our attention but for this short span of time, how can we complete this trip? The plan was to maximize daylight and to sleep only for a few hours. We texted Bryan and ate Lyn if they wanted to come. 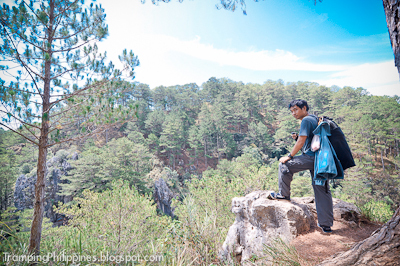 There was hesitation on Bryan’s part after declining our invitation to climb but the lure of the cold breeze of Sagada made him go. 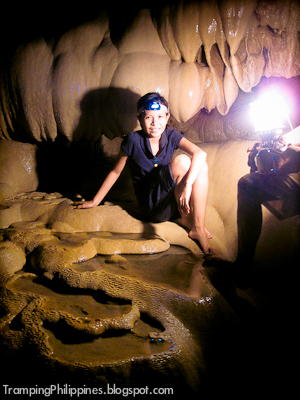 On the other hand, after the stress of St. Luke’s ICU getting to her, Ate Lyn decided to be our guide on this spur-of-the-moment trip. Alas, the four of us were set. Friday night came and we got off to a terrible start. Because of the rush decisions, we had no time to reserve tickets for Baguio. We went to the station and relied on luck that tickets on our preferred time were still available, but sadly we had to wait 3 hours for the earliest available bus. We were now 3 hours late for our schedule, but that didn’t hold us off. 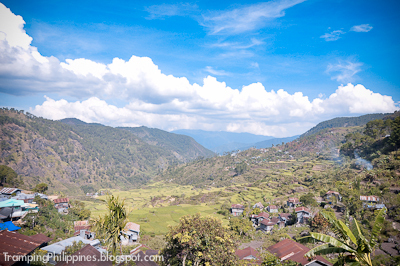 We arrived at Sagada after almost 12 hours of travel and fortunately, it was a warm and sunny day. 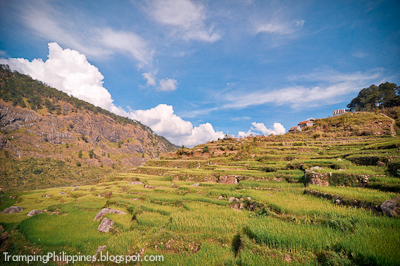 We hurried to our first destination which was the ‘Fidelisan’ Rice terraces. We hiked down for about an hour, took pictures and ran through the fields. Because of the summer months, the terrace was so green - it was a wonderful sight to behold. 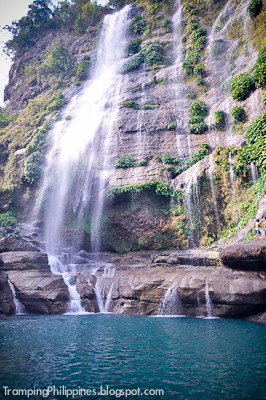 Since we had to reach our second destination, we hurriedly bypassed the other groups who were leisurely savouring the aroma of the rice terraces, and reached Bomod-ok falls in around 30 minutes. Fortunately, the heat of summer made the river below tolerable for a dip. The sudden hit of the freezing water after an hour of hiking gave me chills as I dived; but it was so good that I didn’t care if I get hypothermic. 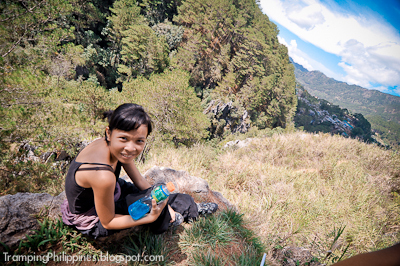 We stayed and rested for an hour before again hiking up to our next destination. After the falls, it was already getting dark. 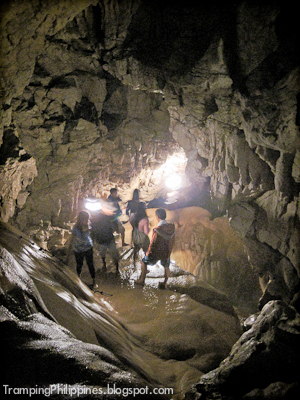 We asked our guide if it was safe to go caving. 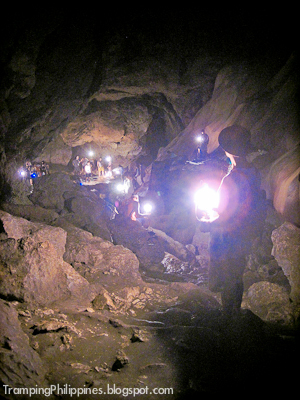 He said, even if there’s sunlight outside, it would still be pitch black inside and it would make no difference if we go caving at night time or day time. So it was decided. 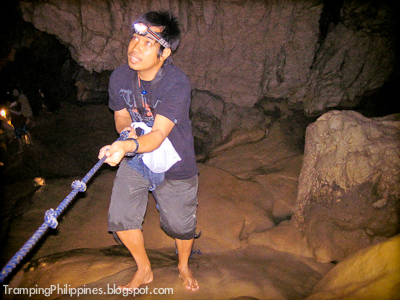 The caving would take up to 2 hours and it was already past 6 PM. We didn’t care. We had to do this tonight or else we would fall behind our schedule. 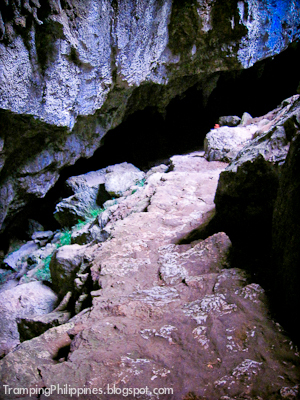 We went down at about 6:30 PM and made it out the cave at a fast paced 1 hour 30 minute stroll. We were back on high ground at 8 in the evening. Managing to squeeze 3 destinations for only 7 hours, finally the tiring first day ended as we stumbled upon a restaurant named Yogurt House, and yes, yogurt was the specialty. To our dismay yogurt was not available, nonetheless the other dishes were still invigorating. The spaghetti serving was huge that it needed 3 of us to finish the meal. After the sumptuous meal, we walked the streets of the warm town. We met other people, watched a nail biting basketball game and went to bed at around 11 PM. 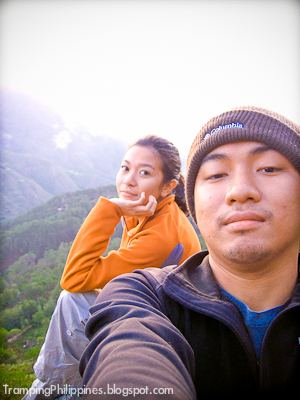 At 04:00 AM, we headed to our 4th destination which was the Kiltepan Sunrise Viewpoint. Climbers that we are, no one but us made a brave scree down the cliff for the better view. It was majestic. 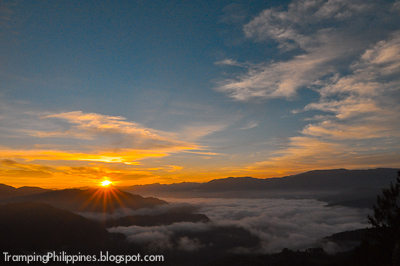 Seeing the clouds covering the villages while the sun rose, it was melodramatic. Then it’s time to go. 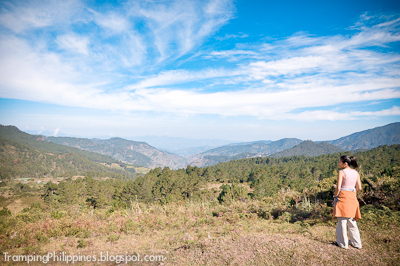 It took us 3 hours to visit the next 2 destinations, Mt. 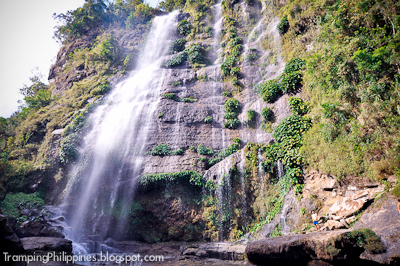 Ampacao and the Echovalley. 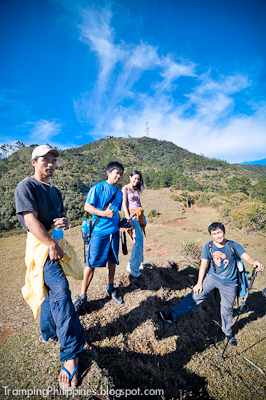 We shouted our lungs out at the Echovalley and by chance, we get to climb a mountain at Ampacao. 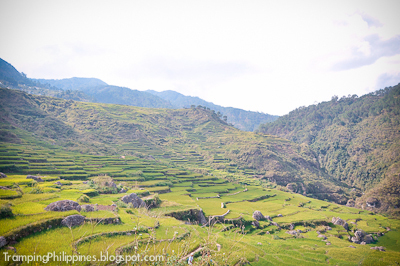 Our total stay in Sagada was only 24 hours but we managed to visit places we’ve searched for. Our guide calls our plan “The Marathon trip”. 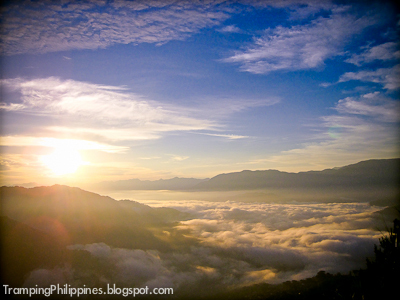 He even told us of a great traverse of all the mountains you can see from Ampacao that can add up to 7 days. It was fun, and tiring. 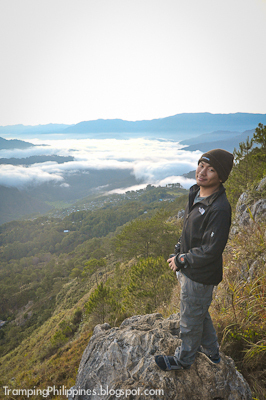 But witnessing and experiencing Sagada was one of the best moments in my travelling life. It was indeed one brief trip but this fantastic experience was far from being done. 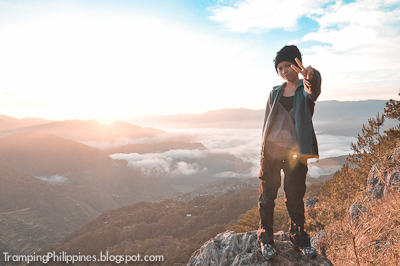 Many places to visit in Sagada are still in our list and I can’t wait to be back for a longer and more adventurous trip. 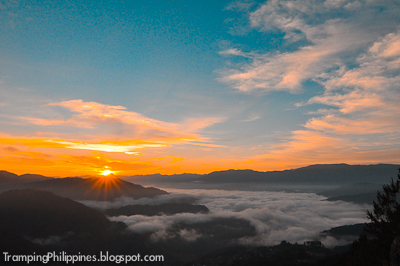 Take a Baguio-bound Bus at Cubao or Pasaya or Sampaloc Bus Stations. 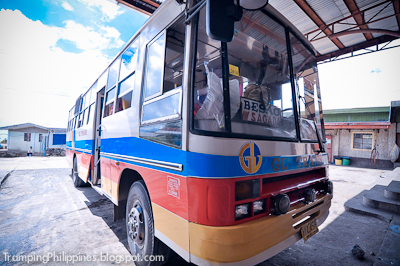 Then go to GL Trans Bus Station (Old Dangwa Station) via taxi and board a Sagada Bound Bus. 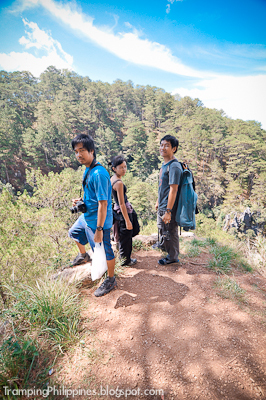 At Sagada, you can go to the tourism office to ask about the tours available and also arrange for transportation around Sagada (the van rentals by the way is really cheap). Hello. Just wondering on how much did this trip cost you (per person)? Rough estimation would do. 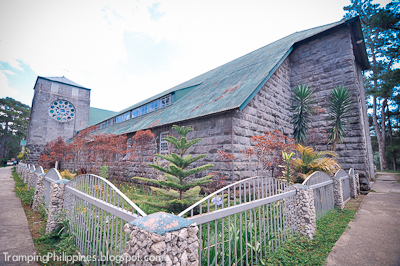 It was roughly 3500 Php per pax, but that was caused by our count, only 4 of us went. If your group have a higher number of persons, the budget may decrease. 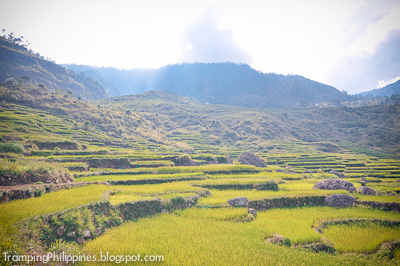 Yes, there's a million reasons to comeback to Sagada, the friendly townfolks alone are one of them. 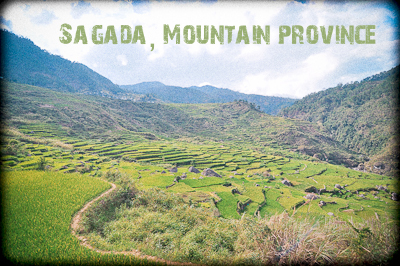 If I would be craving for an adventure or just a solemn moment, Sagada would be a destination in mind. Dane, this is another informative blog. I might use this in the future. How much is your guide+van? grabe. 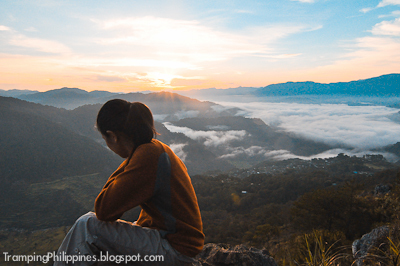 hindi ko ma-imagine kung pano nyo pinagsiksikan yung mga yun sa itinerary nyo... grabe. haha..